Following the footage that was released earlier this month, Warner Bros. has debuted the official trailer and poster for Inherent Vice, the first adaptation of a Thomas Pynchon novel. Joaquin Phoenix leads an all-star cast as Los Angeles private investigator Doc Sportello, alongside Reese Witherspoon, Owen Wilson, Martin Short, Jena Malone, Josh Brolin and Benicio Del Toro. 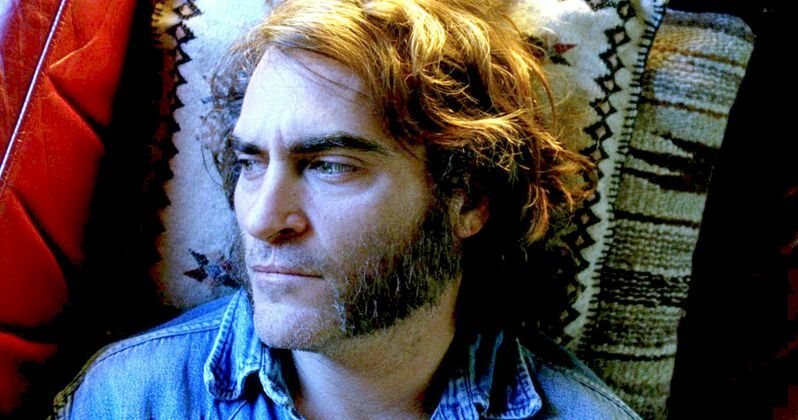 Inherent Vice marks the seventh feature from director Paul Thomas Anderson. When P.I. Doc Sportello's ex-old lady shows up with a story about her current billionaire land developer boyfriend and a plot by his wife and her boyfriend to kidnap that billionaire and throw him in a looney bin...Well, easy for her to say...It's the tail end of the `60s, paranoia is running the day and Doc knows that "love" is one of those words going around, like "trip" or "groovy," that's way too overused-except this one usually leads to trouble.